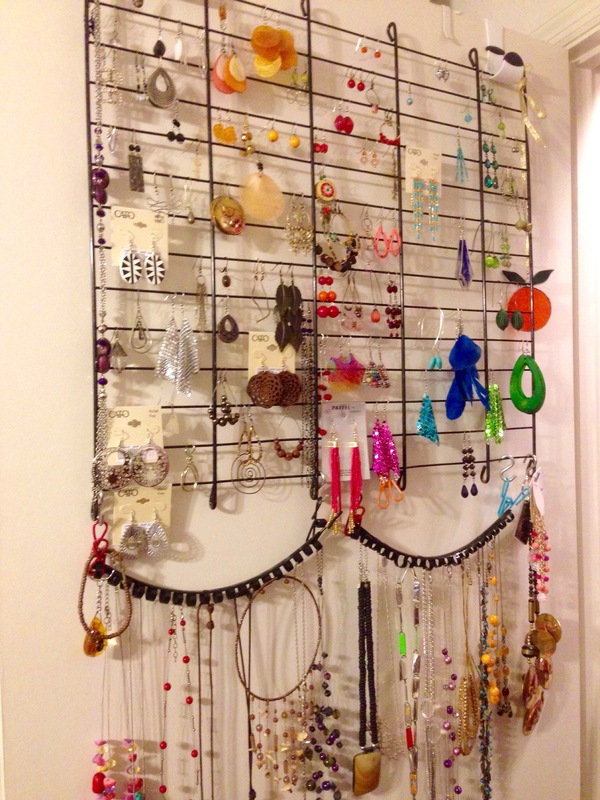 A little compulsive time spent organizing my earring rack. Yes, the entire foundation of my jewelry storage is found and repurposed objects. Some sort of cage or grate piece that was next to the dumpster. Happiness is sorting things by color. Eggnog is gravy for ice cream. I find it absolutely infuriating when my quality of work has to suffer because of your ego. But I’m sick to my stomach that the users have to pay the price. Most of us have used random nouns as terms of endearment, (honey, peanut, cupcake). It seems like a common human trait to label the ones we love with various words that aren’t necessarily descriptive or meaningful. Take pumpkin. It’s a large rounded food in the squash family that tends to be a rather lovely shade of orange. It has a mild taste which is best described as “not bad”. It is commonly carved or displayed as fall decoration. When it is eaten, it is cooked beyond recognition, disguised with cream, butter and strong spices and served up in a pie shell, preferably with whipped topping or ice cream so that no one will suspect it of being a reasonably healthy vegetable. Pumpkin, as a term of endearment makes me think of an orange bulbous object that doesn’t taste good unless it’s mixed with other things. Something that makes a splash on concrete. Yet people who have never even tried pumpkin still accept it as a term of endearment. I imagine that someone a long time ago (Peter Pumpkin Eater maybe) that thought pumpkins were great. So great that he started calling his wife and kids “pumpkins” so that he could be cast in Real World Mother Goose as the “wacky” one. It makes you wonder right? I’m going to start calling my nephew my little buttered toast. LBT for short.